“To walk together is better than to walk alone” is the simple answer I get from Shyam Prasad Adhikari, treasurer of the Durlung Jaibik Coffee Producer Cooperative, when I ask him what advantages he sees from being a member of a cooperative. “Unity is force. 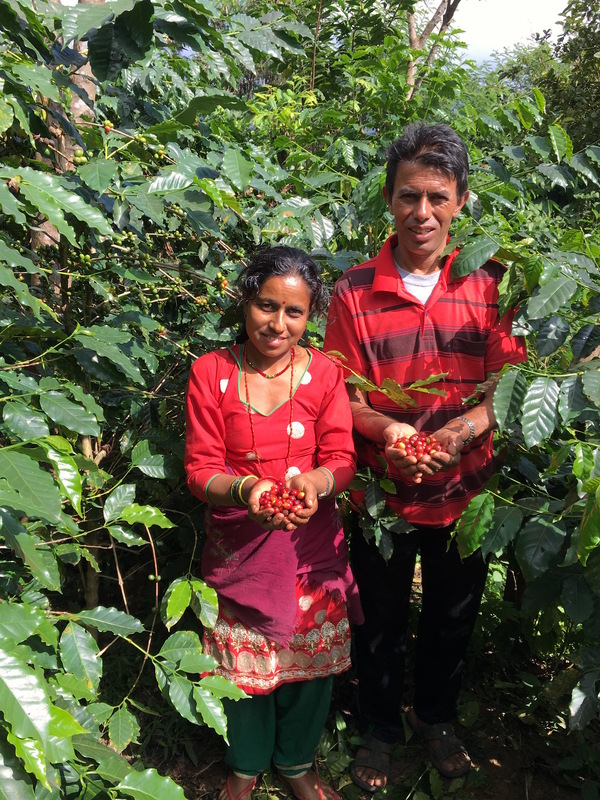 To be a member of a cooperative is a strong relationship between farmers and neighbours.” For Mithram and Menuka Sapkota, a couple who have been farming coffee for 14 years, they appreciate the cooperative membership for their access to low interest small loans from a collected 100-rupee savings from each farmer per month. All of them agree that the cooperaitve’s principles of non-discrimination (based on caste, religion, gender, etc.) has increased the positive thinking and attitude towards one another within their community. In a community still reeling and rebuilding from the damages of the 2015 earthquake, this solidarity has been essential. Mithram and Menuka Sapkota, displaying freshly picked ripe red coffee cherries from their abundant coffee orchard in the southernmost point of Lalitpur. The cooperative model is used widely throughout Nepal, and members of our coffee cooperatives are commonly members of other cooperatives as well (dairy, forest user groups, etc.). But even outside of formal cooperatives, I have witnessed that cooperation is valued highly in all dealings and relations. This applies to the way that I have seen families operate, with responsibility for family members extending beyond the immediate nuclear family as I am used to in Canada, but rather including Aunts and Uncles, and even Grandparent’s siblings. This also applies to community dealings and decisions: my homestay family frequently host members from each household in their neighbourhood to discuss important topics such as community water management. When asked what types of cooperatives myself and my family are a part of back in Canada, I try to explain the individualistic oriented business model that I have been raised around, which lately makes less sense than it used to. I am embarrassed by the fact that I have come to know more of my Nepali neighbours here in Chapagaun in the last 2 months than I do my own neighbours of over 15 years back in Ontario. CECI meeting with members of the Durlung Jaibik Coffee Producer Cooperative at their pulping center in Thuladurlung, Lalitpur. Working for a cooperative union, I have also uncovered many frustrations about this model. Getting the members together for democratic decision making takes months of planning and preparation, drawing out the timelines of projects that could be so straightforward but nonetheless must first be approved by the board. Secondly, without much knowledge of the daily operations of the cooperative or union, members hold the decision making power but without always understanding the full context of the impacts of their decisions. However, although sometimes painfully slow, this democratic process results in educating all farmers on the operations of their cooperative, building their capacity to make effective decisions, rather than making decisions on their behalf which may not fit their needs or desires. 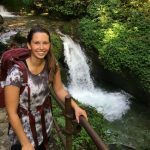 It has been a continual lesson for me here in Nepal that doing things slowly will be far more valuable in the long run if it means doing things right and fairly to facilitate the most benefit to the most people possible.